PhosLube Petroleum Laboratories has capabilities to perform analytical testing on all lubricants, regardless of intended purpose. Vehicle lubricant testing is very common and can be very beneficial in determining product quality. Vehicle lubricants can be broken down into different categories and have several different uses. 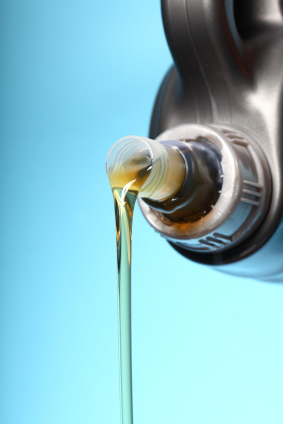 A few of the more common vehicle lubricants are listed below. Automotive air conditioning systems consist of a condenser, a receiver, a belt driven compressor, an evaporator, and an expansion device. The compressor draws in vapor and raises it’s temperature. The vapor then changes to warm liquid under the high pressures. The warm high pressure liquid is then converted into a low pressure liquid in atomized form. This colder liquid is then vaporized through the evaporator, which is basically a heat exchanger located within the dashboard of the vehicle. This cycle continues indefinitely. The compressor pistons require lubrication, which is done by applying lubricant into the refrigerant. Automatic transmission fluid (ATF) is the fluid used in vehicles with self shifting transmissions. It is typically colored red or green to distinguish it from other fluids in the vehicle, including motor oils. The fluid is a highly specialized oil optimized for the special requirements of a transmission, such as valve operation, brake band friction and the torque converter. Crankcase oils are basically lubricants used in internal combustion engine crankcases. The crankcase is what covers the crankshaft. This area forms the largest cavity in the engine and is located beneath the cylinders.